The European Maritime and Fisheries Fund has launched a new call of a total budget of €18,7 million. The call focuses on 3 topics: Blue Labs (Topic 1), Blue Careers (Topic 2) and Blue Economy (Topic 3). You can receive up to 80% co-financing for you project (65% for Blue Economy topic). multi-disciplinary approaches and innovative partnerships between maritime stakeholders to drive innovation in the blue economy (Blue Labs); this action aims at promoting innovative laboratories (“Blue Labs”) to pilot new and economically viable solutions addressing selected maritime and marine challenges and opportunities. The focus of this action is to support young scientists supported by experienced researchers, industry and local stakeholders, to team up and develop innovative technologies, products and services in support of a sustainable blue economy, preserving marine resources and ecosystems. Indicative budget: 5.000.000 EUR, with EUR 500,000 -EUR 1,000,000.EU contribution estimate per project and approximately 6 projects to be funded. the development of blue and smart skills, fit for purpose to meet the evolving needs of the labour market in the blue economy (Blue Careers); this topic promotes innovative approaches to strengthen the cooperation between industry and education in order to bridge the gap between skills' offer and demand.Indicative budget: 5.500.000 EUR, with EUR 500,000 -EUR 1,000,000.EU contribution estimate per project and approximately 7 projects to be funded. innovative technologies and/or maritime services to improve their market readiness, advance towards market entry and to facilitate access to finance to blue economic players (grants in the blue economy); this topic aims to support demonstration projects based on innovative technologies testing/deploying/scaling-up of new industrial or service applications and solutions for the blue economy. 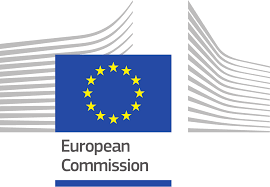 Indicative budget: 8.200.000 EUR, with EUR 500,000 -EUR 1,000,000.EU contribution estimate per project and approximately 9 projects to be funded. Please find detailed information on the call here.